It’s a validation tool, showing prospects and customers that you’re a legitimate business with a good reputation. It’s a sales tool: a place where anyone can go to engage with your brand and connect with your sales team (or make a purchase). You own it. Unlike third-party platforms like social media or industry review sites, anything you publish on your site is yours, meaning you get to choose exactly how and when you interact with and sell to your customers. If you’re doing business in 2018 and beyond, it’s no longer enough to simply have a web presence: your site also has to be good. Outdated website designs, or sites that aren’t mobile-friendly, will frustrate your prospects and leave a negative impression of your business. But you don’t have to hire an expensive programmer, or spend hours learning code, to create a unique website with a gorgeous page layout. With a WordPress theme, you can download a pre-designed page template and customize the copy and images using a drag-and-drop page builder. Here are our picks for the 22 best free and premium WordPress themes of 2018 to give your website a makeover that’s sure to result in increased sales. 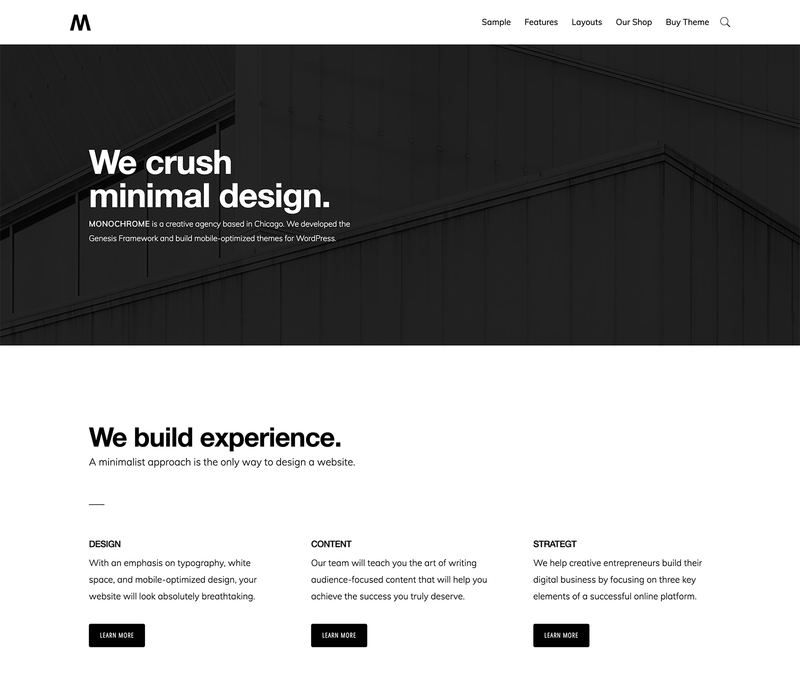 Monochrome Pro claims to “crush minimal design,” and we think it does. It’s a mobile-optimized theme with stylish blocks and customizable colors and settings – plus an intuitive site builder for speedy editing. 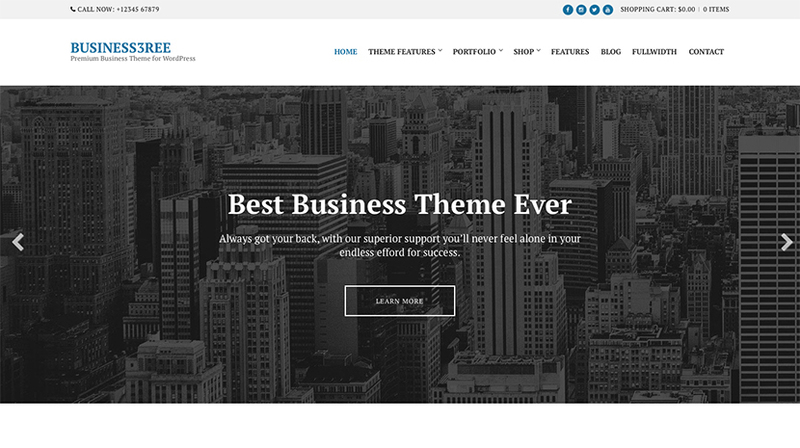 Business Pro is exactly what it sounds like: a professional-looking theme for businesses and agencies of any size. This theme balances great design with user-friendliness, so you can showcase your value while providing an easy navigation experience for visitors. 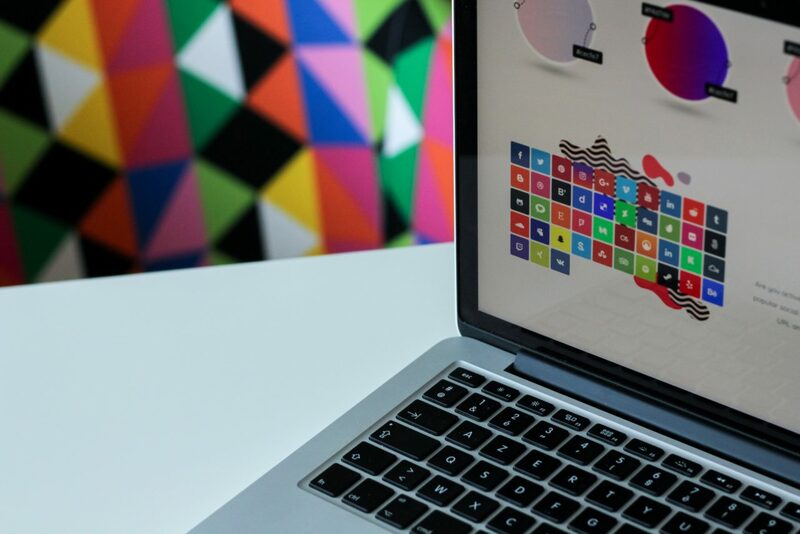 Parallax scrolling is all the rage, so if you want a well-designed theme with a touch of tech pizzazz, here’s your theme. Plus, this theme comes with unlimited support – a must-have for the busy business owner. Responsive, elegant, photo-based and integrated with WooCommerce: what more could you need from a WP theme? Technico is designed for the construction industry, but we think it would look stunning on any business. Get the theme and you get its drag-and-drop builder, making it easy to add custom content where you see fit. Solstice is easy to use, even for the least tech-savvy among us. Headers, colors, fonts, and layouts are customizable, meaning you can modify this theme quickly and easily. Hugo’s a great pick for eCommerce companies that need WooCommerce support and SEO optimization. Ideal for showcasing custom designs or high-end photography, Struct is a versatile WordPress theme that’s extremely customizable and user-friendly. Need WooCommerce? Then you need Nozama. 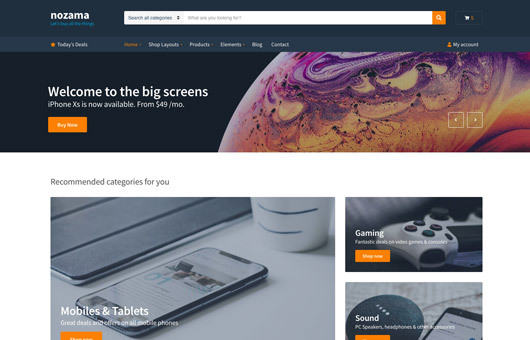 This storefront theme is both modern and customizable (it boasts over 100 options for customization) and features a search bar at the top for easy site navigation. Zephyr boasts a five-minute setup time, and features luxurious typography and colors. Ideal for high-end agencies, this is a flexible theme that communicates class. Pixzlo is a theme designed for professionals, whether solo entrepreneurs or large business services firms. It’s fun and stylish, and best for businesses that would rather highlight illustration and typography than photography. Centaurus is a gorgeous, clean design that’s ideal for eCommerce sites, but is modifiable to fit any industry. Its regular license comes with support and documentation. Is blogging a major part of your web presence? If so, Freyja was designed with you in mind. Featuring 10 distinct layouts to start with, Freyja is as clean as it is responsive. Business3Ree has a variety of content types, from portfolios and slides for creative services to team, partner, and testimonial pages for any business. And with licenses starting at $39, it’s a cost-effective option, too. 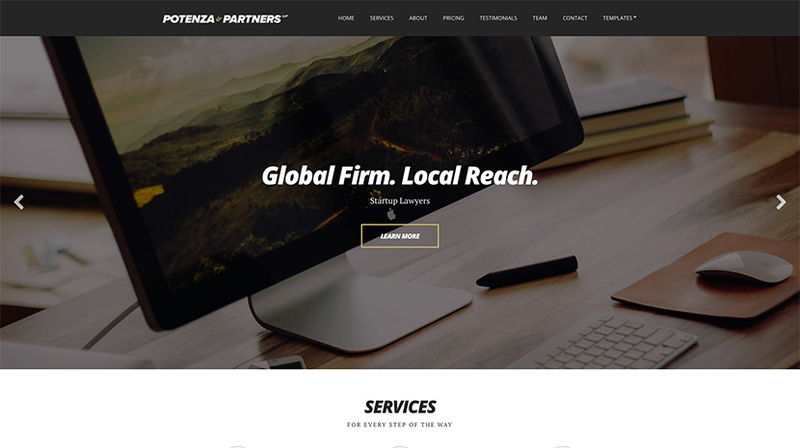 Potenza would work excellently for an agency, or a professional services business, with a one-page layout designed with SEO in mind. 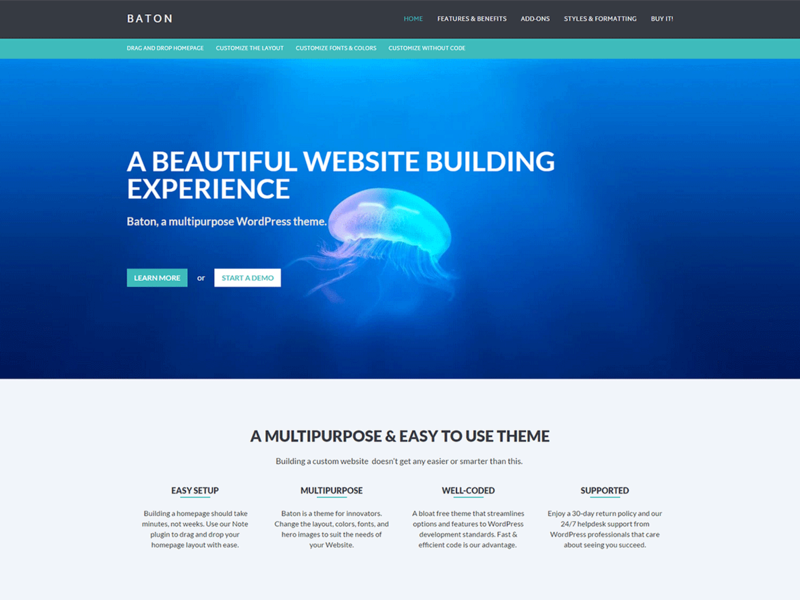 This theme has a futuristic feel, with unique graphic elements and highly responsive design. Add up to four columns and a wide range of widgets to make it yours — a highly powerful theme for a reasonable price. 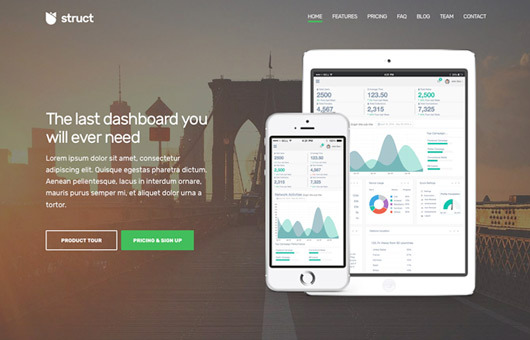 Anchord is an affordable theme designed for agencies and freelancers, with elegant widgets for showcasing your work. Ideal for agencies and professional services, this responsive theme follows many modern best practices for site design and UX. Looking for a sleek, WooCommerce-ready theme with modern, parallax design? 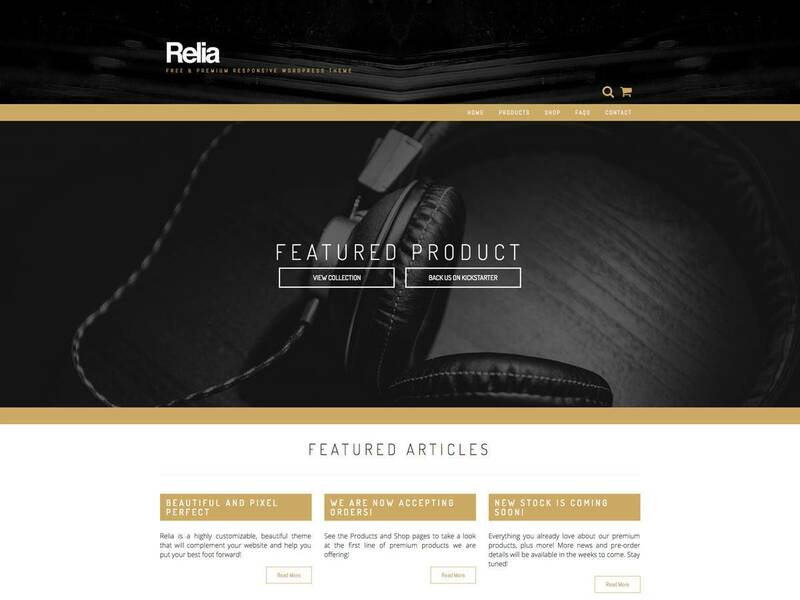 Relia offers an array of widgets and customizations that fit any type of business. If you’re on the hunt for a free parallax scrolling theme, Parallax Frame is a good pick. Modify this responsive theme to fit your needs, without having to worry about your design becoming too complex or slow for your visitors. If photography or design is at the forefront of your branding, you’ll like Baton’s open design. On top of that, its drag-and-drop editor makes it easy for those new to WordPress to get a beautiful site up and running quickly. Twenty seventeen may be well over, as far as the year is concerned, but this theme is still going strong. 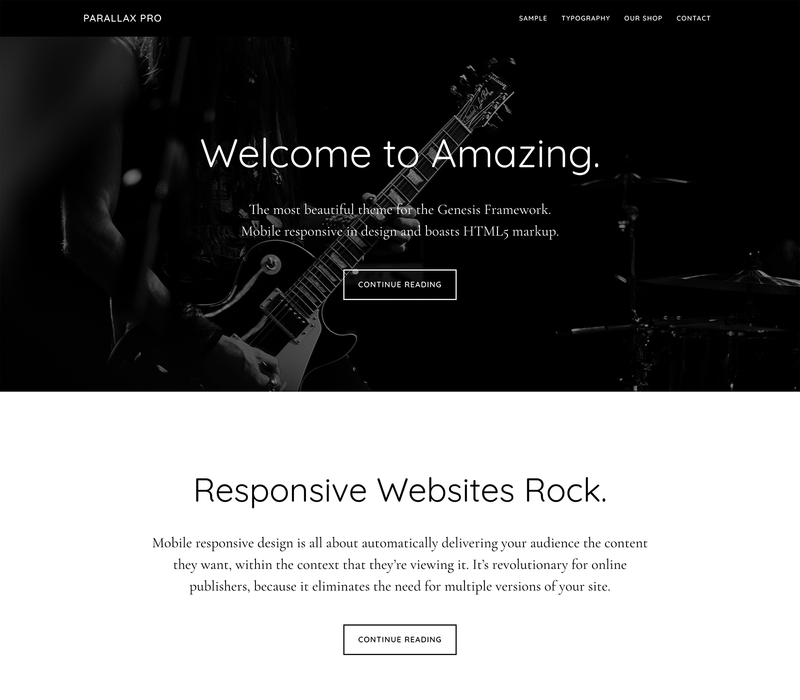 It’s one of the most popular free themes in the WP library and looks fantastic on every device.